If you are the owner of an in-ground swimming pool, you probably already know how important the concrete surrounding your pool actually is. Not only does this concrete protect your pool from dirt, mud, and other yard debris in the area, but it also protects your feet from large sticks and rocks that may be sticking out of the ground. Though many people don’t realize this, the concrete around your in-ground swimming pool actually serves another purpose, as well; and that is to increase the attractiveness of your backyard, which in turn raises the property value. And in today’s rough economic times, everybody is looking to increase the value of their home and property but not many are looking outside into their yard to do so. But fortunately at Van Midde and Son Concrete, you won’t have to spend a lot of money in order to increase the value of your property. Our experts have been installing professional grade concrete around swimming pools for years but that’s not all we do. By viewing your concrete and pool combination as a work of art instead of just another job, we are able to take our level of expertise above and beyond that of our competitor’s. We offer customized concrete installation for any pool, small or large, and our service professionals will work with you every step of the way in order to make sure that all of your expectations are met and in even surpassed. With Van Midde and Son Concrete it’s not just talk it’s a promise, and we have plenty of satisfied customers to back up our claims, as well. For those of you in need of professional and affordable concrete installation to compliment your existing in ground swimming pool you simply can’t go wrong with the experts at Van Midde and Son Concrete. We offer affordable pricing for all of our work, and we’ll make every effort to make sure that you are completely satisfied with the new concrete around your pool. After all, this really is a piece of art, and one that you’ll be looking at for years to come. As such, it’s important that the job is done right the first time in order to make sure that the new concrete around your pool can be enjoyed for its entire lifespan; and with Van Midde and Son Concrete you are guaranteed to get just that. 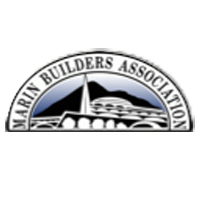 Located in San Rafael, Van Midde and Son Concrete installs swimming pool concrete in Marin County, Sonoma County and throughout the San Francisco Bay Area.